Bushmans provide a wide range of water tanks for use in your home, farm or industrial business. Select from our comprehensive range of poly rainwater tanks, slimline water tanks, steel liner tanks, industrial tank range and more. Why use a water tank? Water covers roughly 70% of the earth; however, only 3% of this water is fresh water and two-thirds of this freshwater is locked away in ice and glaciers. As such, water is fast becoming a scarce resource. Water tanks minimise water usage, retain water close to the source and reduce the strain on storm water drainage systems. By using a water tank, you are saving money and doing your part for the environment at the same time. 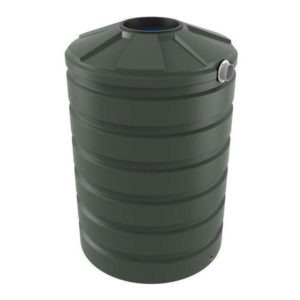 At Bushman Tanks, our rainwater tanks have a 10-year warranty and are suitable for a wide range of applications including domestic use when water needs to be collected or stored, on commercial buildings to catch storm water runoff and for use in the factory, warehouse or processing plant. 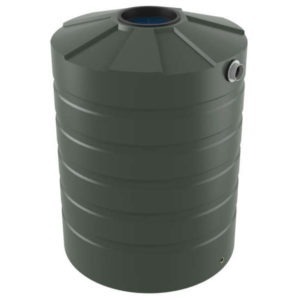 Round rainwater tanks are the most common tank used however slimline tanks are popular as they are able to fit into narrow spaces alongside houses and other buildings. Bushmans have been operating since 1989 and have the experience to give us in-depth knowledge and expertise in manufacturing tanks. We are committed to finding a tank that meets your specific requirements. Our water tanks vary in size, shape and colour. Sizing starts from small tanks at 1,000L. These tanks are ideal when there is minimal space. 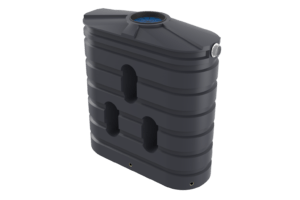 Our largest poly tank is 46,400L – perfect for rural or industrial applications or when there is a need to store or manage a large amount of water. Whether you need a small tank or a large poly water tank – be it for domestic, agricultural or industrial use – Bushmans can meet your needs. 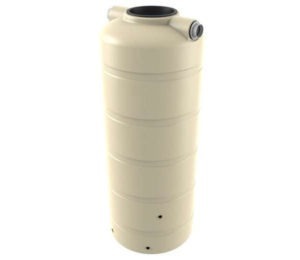 Our slimline range of tanks range in size from 1000 litres to 5000 litres. 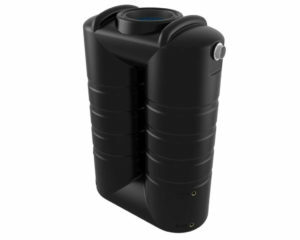 Strong and robust – our polyethylene tanks are tough and resilient. They can withstand even the toughest conditions – even if hit by a hammer, the tanks do not dent or break. This is made possible using seamless architectural design – no joining points results in no weak points. Has stood the test of time – in the field for many years with an excellent service life. Very easy to install – although we recommend having professional help assist with the installation, our poly tanks are so easy to install that we have created instructions which can be found here. 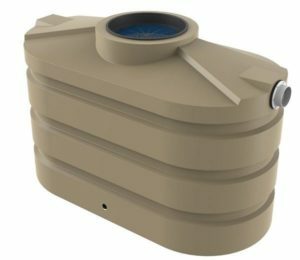 Come in a wide range of colours – our poly tanks come in a variety of colours, so your new water tank can effortlessly become a part of your home or business. Bushmans own Sunsmart® polyethylene raw material to make our Suntough® range of plastic tanks. This gives longer life in the sun – our Sunsmart® material will help protect and prevent the tank from aging. Reinforces and strengthens the walls – this provides an extended lifetime. Reduces colour fading – our poly rainwater tanks will stay looking good. Less reticulated water use – you will have access to a natural water supply close to your home. Eliminates wasted water going down the drain – less wastage means your water costs will be reduced and you will be using a natural resource. Stormwater retention – harness a natural resource in the form of storm water and put yourself in a position to gain value from storms. Self-sustaining – regain control by switching to a self-sustaining method of accessing and using water. There are several applications for poly water tanks in day to day life, primarily around the house, the farm, the business or in schools. Within the household, a water tank can provide a means of which to take pressure off the monthly water bills by providing you with a self-sustaining method of collecting and utilising rain water. Similarly, on a farm there is a definitive need for water whether it is being used for livestock, gardens, cropping or other uses around the farm. At Bushman Tanks, we understand this innate need and our water tanks can help farmers achieve independency and make farm management easier. Businesses also have a need for a reliable source of water and our poly tanks can allow businesses to store water securely in a tank that can fit almost any environment or situation. Some of the potential uses for businesses involve stormwater management, on site water supply, garden water, and using water in the production process. At Bushman Tanks we are proud supporters of the education system and acknowledge the important work teachers do in developing the future generations of Australia. Our water tanks can be used in schools as a means of helping to teach children about sustainability and the importance of responsible water use with the increasing problem of water scarcity. There are many advantages to using a poly water tank over other materials, one of them being pure strength; our plastic tanks are far more robust and resilient than tanks using different materials, you could hit one with a sledge hammer and it will return to its normal shape, unlike a steel tank that will dent or a concrete tank that could crack. Polyethylene does not corrode, it can hold sea water or survive harsh conditions by the sea and stand strong. The nature of plastic tanks means they are simple and light, which makes them easy to transport, to deliver, and to install. We use virgin polyethylene material so there is no risk of contamination from paints or other chemicals. Poly tanks can be used extensively as part of the reticulated stock watering system on rural properties. They are also a fantastic addition to any house and garden as it can provide water for many applications including filling the pool, washing the car, showers, toilets, washing dishes and clothes. All our water tanks are covered by the Bushmans 10-year water tank guarantee, giving you confidence and peace of mind. Browse through our range to find the right product for you or give us a call now on 1800 287 462 to talk to one of our water tank experts about your specific needs.